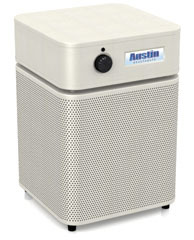 The Austin Air Healthmate Jr. is great for medium and large rooms in a home or office. 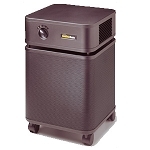 It has a variable speed motor so you can turn it up to clean the air quickly and lower it for ultra-quiet night time operation. Gases and odors are eliminated by using a combination of activated carbon and zeolite. 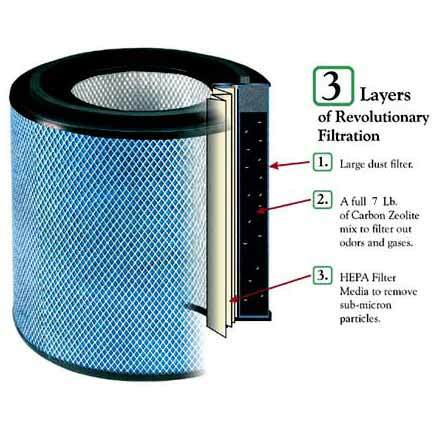 This stage of filtration removes some of the most dangerous fumes and odors that can be found in the home or office. Every minute, over 125 cubic feet of air passes through 6.5 pounds of Activated Carbon and over 30 square feet of True Medical Grade HEPA, providing air so clean it could change your life and how you sleep. If it doesn’t, Austin Air will refund your money within 30 days. The HealthMate Jr.™ addresses the complete spectrum of air cleaning, removing sub-micron particles, noxious gases and chemicals. 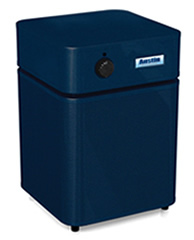 Austin Air’s 360-degree intake system draws air into all sides of the HealthMate Jr.™, passing it through a 4-stage filter. The result, more clean air delivered faster and more efficiently than any other air cleaner on the market. 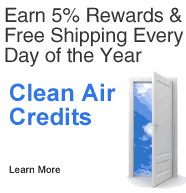 415 Clean Air Credits will be rewarded to you when you buy this item.